California Kayak and Canoe New and used gear. Kayak and boat rental. 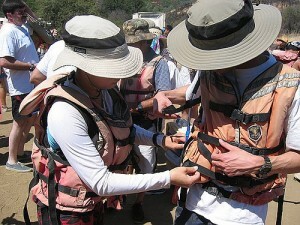 You can rent most of the gear you’ll need for a Cache Creek rafting excursion, but a drybag is always nice to have if you want to keep food or clothing away from water. Watershed makes the best, completely watertight drybags on the market.